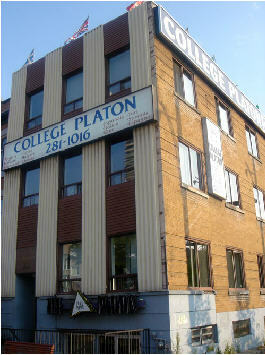 "College Platon is a private educational language institute located in the heart of Montreal. It has an international reputation and offers a number of high quality language courses. Consumers' Choice Award has become an important institution on the North American business scene. The winners are determined by consumers through an independent and objective survey and most respected research firms in Quebec. College Platon has been chosen as a winner in the category of Language Schools 10 years in a row. If high tuition fees are a problem, College Platon is a simple solution."